Our standard rocking chair seat cushions can be filled with formed poly fill (indoor or outdoor) or standard foam (indoor only). 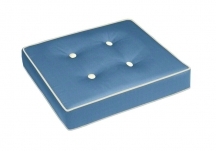 We also offer a rocking chair seat pad, which is a thinner, more economical option. 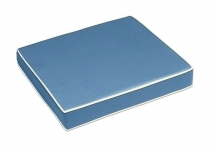 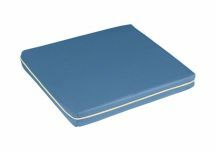 Deluxe seat cushions provide a designer look by utilizing a foam fill wrapped in 1-inch poly batting that provides a crown-style loft on both the top and bottom of your seat cushion. 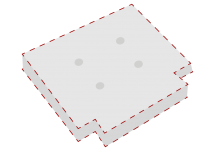 Our cushions are also available in custom shapes to fit your unique furniture. 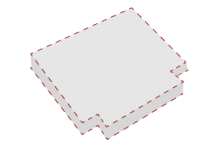 Simply provide us with a template, and we will begin crafting your custom shaped cushion.